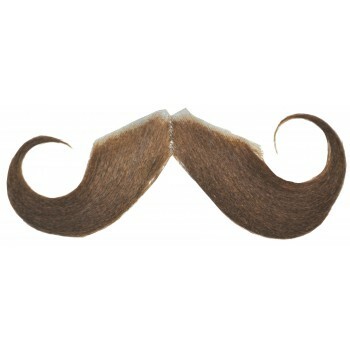 If your looking for that real handlebar Mustache this is the one for you. Straight hair with curled ends. Made with Real hair. 5 in wide.